Siblings Crew and Cambry have daily challenges. Crew was born with a disorder that delayed his muscle development, coordination and speech. And Cambry has a visual impairment that not only affects her sight, but also her balance and strength. They came to Fieldstone Farm to accelerate their treatment at the recommendation of their therapist at Cleveland Clinic. Our horses have made a difference. When Crew first came, he could not lift his arms above his head. 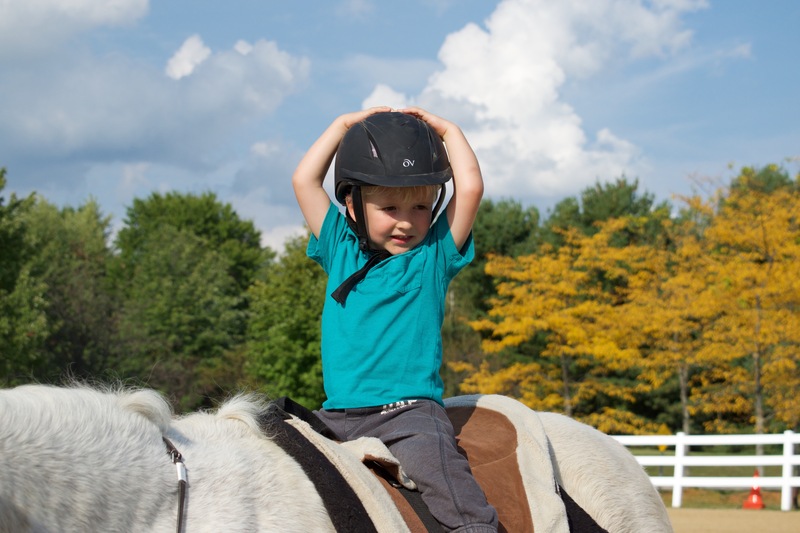 After working with our physical therapists and therap y horses, he could hold himself upright, put his arms above his head and balance on the horse, all while having fun. “I wasn’t sure he would ever be able to do this!” says his mom, Kendra. Cambry excelled too. She started in our phys ical therapy program and advanced to our therapeutic riding lessons where she is learned to control and ride horses. 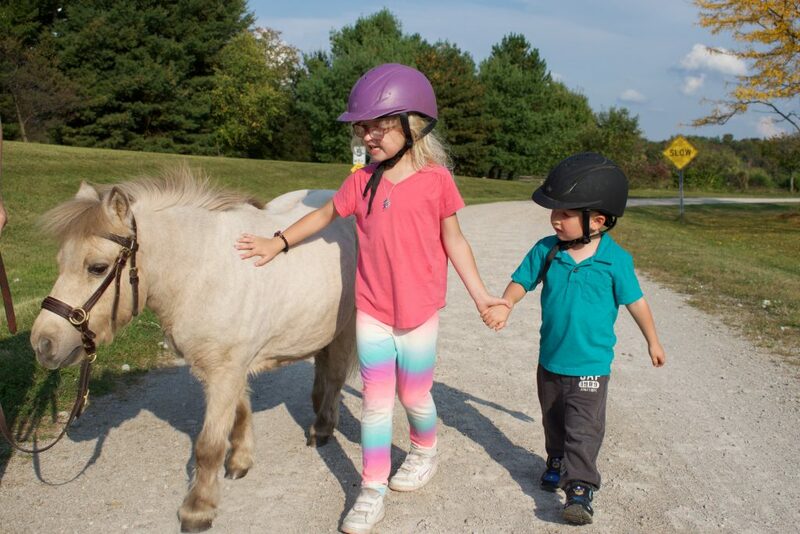 “She’s so confident and strong now, “says Kendra, who would drive an hour each way every Monday to bring her children to the farm. 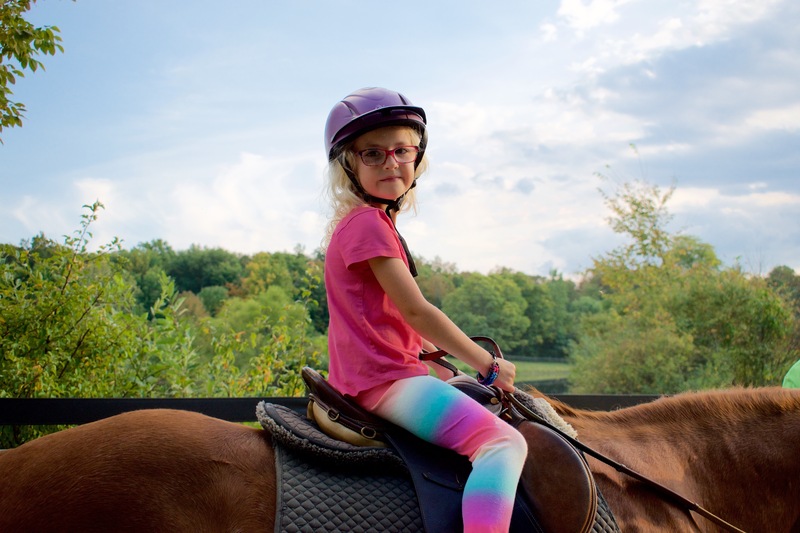 “It’s remarkable how much progress they made in such a short time, said one of our physical therapists, who sees patients surpass expectations with the help of our horses.